Netflix’s newest drama, “Insatiable,” follows the life of teen Patty Bladell (Debby Ryan), who loses a lot of weight after having her jaw surgically wired shut. Apparently an equal opportunity offender, the series has already managed to outrage groups on both the left and right. The show, targeted at teens, has already received pushback for “fat shaming” from the liberal media. Conservatives have also criticized the show for openly mocking Christianity. “Among its infractions is its dedication to portraying Southerners as shallow, ostentatious Jesus freaks,” Salon, a typically liberal online magazine, surprisingly noted. There are countless scenes throughout the show where they mock biblical themes or characters, but one particular scene stands out as particularly horrid, The Daily Wire reported. In one episode, a group of choir girls dressed in white robes sing a sexually charged song about Jesus. The girls dance around the stage in their white choir robes, while moving suggestively to the music. Chorus: We’ll journey together, your hand on my heart. Whatever the weather, a love so strong. So long. So hard. O, Jesus, You fill me in every single way. Sweet, sweet Jesus inside me, I got You deep in my soul. Deep, deep, deep in my soul. Yeah! Oh, Spirit, please ride me. Please, please, please, please ride me. Deep, deep, deep in my soul. Dee: Time to break it down, y’all. Stone cold chillin’, JC, JC, just You and me. Chill, chill, chillin’, You see, by the Sea of Galilee. I got a notion that this motion by the ocean is the potion I need. I think You get the gist. You the top of my list. State of bliss. Eucharist. Swear to God I need a fix. State of bliss. Crucifix. Thank You, Jesus, that’s my mix. Dixie: And now for the second coming! Chorus: Sweet, sweet Jesus inside me, I got You deep in my soul. Deep, deep, deep in my soul. Yeah! Oh, Spirit, please ride me. Please, please, please, please ride me. Deep, deep, deep in my Hoooool…ly Father. I think I love You. In a different scene, the show details the main character engaging in sexual acts on top of the Noah’s Ark playground structure at their church following her baptism ceremony. The show comes following an announcement by Netflix to create new original faith-based content for their viewers. 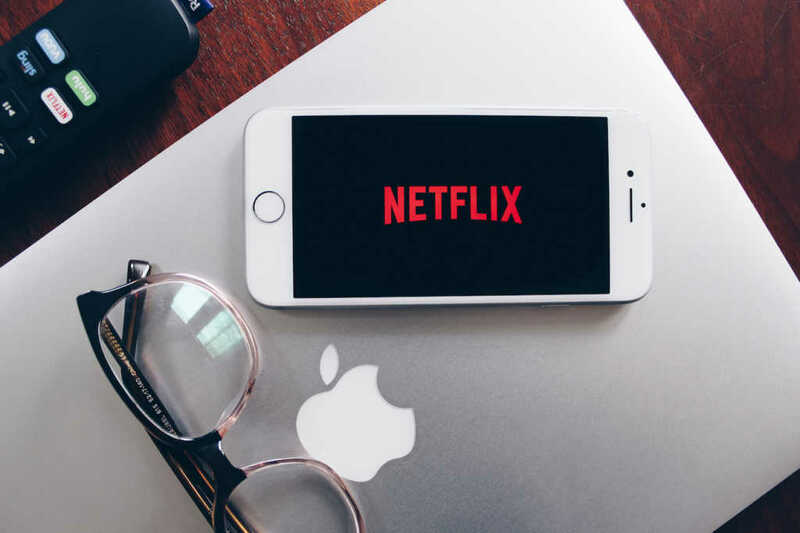 This is partially due to recent calls for boycotts of Netflix by the Christian community over shows that promoted themes and agendas that offend Christian values. “It’s a very important audience to us,” Cindy Holland, vice president of original content for Netflix, noted at the time of the announcement. If this new show is an example of the “family-friendly” faith content the company promised, they couldn’t have missed their target audience by a greater margin.